At this most spooky time of year, we are re-blogging editor in chief Virginia Stark’s blog about what, exactly is horror. Lately I’ve been involved in two different horror anthologies. The first one was for Halloween. 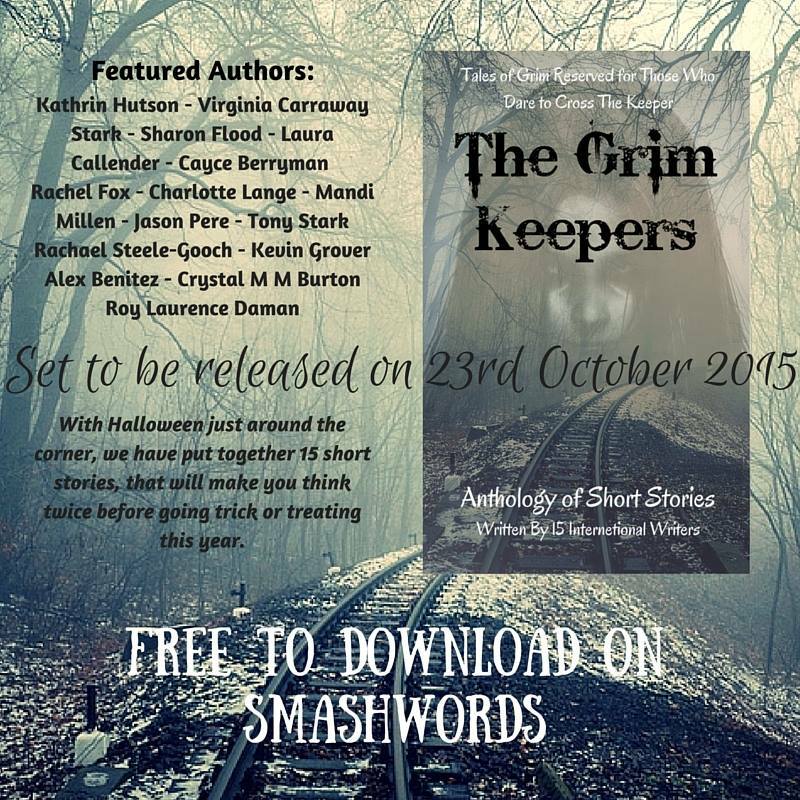 Published by CW Publishing and entitled ‘The Grim Keepers’. The second one is an upcoming one for Christmas called, ‘Festive Frights’ and promises to be a respite from ‘all that sugar and spice’ of the holidays. As more and more authors work on their stories and we discuss them amongst ourselves, I hear one question over and over again: Is this horror enough? It’s an interesting question and I don’t think anyone is ‘expert’ enough to judge this one way or another for the simple reason that everyone is scared of something different. The story I had sent in involved ritual murder. The women involved captured peasants and put them in cages above bathtubs after slicing their victims legs and feet open so that they could bathe in their blood. That was one part that I felt classified it as horror and yet I was told it wasn’t horror enough. This raises the question, what is scary enough for a horror anthology? Horror is defined as: 1) An intense feeling of horror, shock or disgust. 2) A bad or mischievous person, especially a child. 3) Having a frightening subject matter, especially a supernatural one. The definition of horror shows how diverse of an issue it is. There have been a few stories that when I wrote them I got the heeby jeebies, but usually I only know if something is scary by the reactions of people to what I have written. Horror is subjective but the last definition of horror given is a telling one. The supernatural all by itself can cause a regular story to be boosted into the category of horror in a single bound. We are, as a race most intensely filled with feelings of horror, shock or disgust by that which is profoundly other from ourselves. No category fulfills the criteria of ‘other’ better than the supernatural. Without a system to categorize and understand what we are experiencing our adrenaline gets pumping and we are left wondering if the creak of a floorboard is the house settling or a boogeyman about to pounce. We try so hard as a species to be rational in world where things very rarely follow a rational pattern. A good example of something that is ‘horror’ without anything really horrific happening is the legend of the will-o-the-wisp. A mysterious light appears in a wooded or swampy area and someone, or a group of someones follow it. The wisp is always a little ahead of them, is it over there? No, wait, it’s all the way over there. Is it a person? Maybe someone lost and looking for home? But they don’t reply to the people calling to them? Perhaps it’s someone playing a trick on them? Or perhaps, it’s something worse…something unknown. The will-o-the-wisp is an excellent example of the mystery of horror because the people can survive and return home, or they can be lost forever but either way, an unexplainable event occurred to them. This is what makes horror. It’s disarray in the ordered threads of day-to-day life, it’s anything extraordinary. Even seemingly positive things that are extraordinary can rapidly transition into horror. For example: The Lottery Curse. It’s something of an urban legend that says that anyone who wins the big lotto is cursed. People tell stories about the man who won the lottery and then lost his wife and children to various falling outs and then discovered he had cancer. There are dozens of variations of these stories of how the money will never last and whatever you do with it will somehow inexplicably go wrong. So, what is ‘horror enough’? There is no answer for this. Is it bad? Is it mischievous? Is it filled with disgust and entrails? Is there a mysterious light that lures people to their possible deaths? Is it winning so much money that your life has become unnatural? That’s the fun of horror. Not everything is going to be scary to everyone but the reason we write it primarily is to explore the bounds of what is known to us. When I write horror it is like wading the ocean, everything is normal and then… suddenly the shelf of sand breaks off into vast unknown depths. The difference between horror and a regular story is that break between touching the ground and having the depths below your feet. Who knows what will rise from those cold deeps.